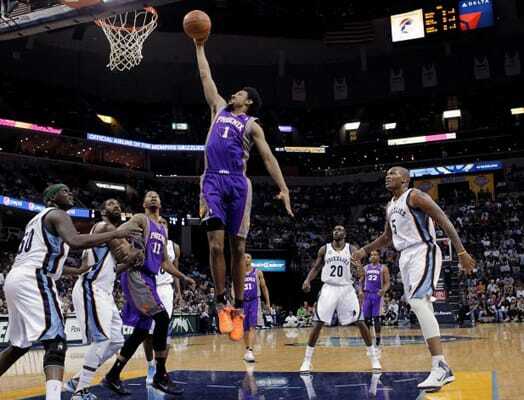 After returning from Greece, Josh Childress signed a 5-year/$34 million deal with the Suns. Before leaving, he was having a good NBA career with the Hawks, putting up 12 points and 5 rebounds a game. Something must've went wrong overseas because Josh hasn't averaged more than 5 PPG in his two years in Phoenix. He still has 3-years and around $21 million left on his deal. SMH, Josh should feel obligated to give some of that bread back.